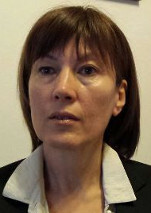 Tatjana ĐUROVIĆ is Associate Professor of English for Economists at the Faculty of Economics, University of Belgrade. She received her PhD degree in linguistics from the Faculty of Philology, University of Belgrade in 2006, with a thesis on a comparative analysis of metaphors in English and Serbian economic discourse (title: The process of metaphorisation in semi-technical language of economics). Her main research interests focus on English for specific purposes, applied cognitive linguistics and discourse analysis and she has published widely in these areas. She has co-authored a monograph on metaphors in Serbian public discourse, and co-edited a volume on English for specific purposes at tertiary level in Serbia. She co-authored a chapter to an edited book published by Bloomsbury in 2014. She is also the author or co-author of several ESP economics textbooks and practice books. She has published a number of papers in Serbian and international linguistics journals: Ibérica, Journal of Language and Politics, British and American Studies, Journal of Linguistic Studies, Facta Universitatis, etc. and participated in many conferences. She is a member of the Serbian Association for the Study of English (SASE). [Serbian public discourse: A cognitive critical study]. [Current topics in English for specific purposes at tertiary level in Serbia]. Đurović, T. (2014). Fiscal cliff and other topographical metaphors. Romanian Journal of English Studies, 11(1), 21-28. Silaški, N., & Đurović, T. (2013). Of “siliconaires” and “millionerds” – How ESP learners understand novel blends in English. Ibérica, 25, 85–106. Đurović, T., & Silaški, N. (2013). 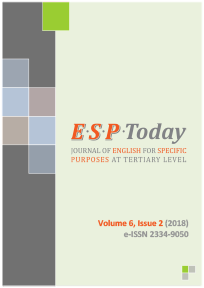 ‘An increase in imported goods, imports have increased’ – The role of teaching pronunciation in an ESP classroom. Romanian Journal of English Studies, 10(1), 89-98. Silaški, N., & Đurović, T. (2011). The NATURAL FORCE metaphor in the conceptualisation of the global financial crisis in English and Serbian. Zbornik Matice srpske za filologiju i lingvistiku, 54(1), 227-245. Đurović, T., & Silaški, N. (2010). Teaching genre-specific grammar and lexis at tertiary level: The case of economics students. Journal of Linguistic Studies, 3(1), 61–72. Silaški, N., & Đurović, T. (2010). The conceptualisation of the global financial crisis via the ECONOMY IS A PERSON metaphor – a contrastive study of English and Serbian. Facta Universitatis – Series: Linguistics and Literature, 8(2), 129-139. Đurović, T. (2009). A cognitive approach to business English phrasal verbs: The case of out. Primenjena lingvistika, 10, 207-218. Đurović, T., & Silaški, N. (2013). Uloga slikovnih shema u metaforičkom strukturisanju svetske ekonomske krize u engleskom i srpskom jeziku [The role of image schemas in the metaphorical structuring of the global financial crisis in English and Serbian]. In N. Silaški, & T. Đurović (Eds. ), Aktuelne teme engleskog jezika nauke i struke u Srbiji [Current topics in English for specific purposes at tertiary level in Serbia] (pp. 133–146). Beograd: CID Ekonomskog fakulteta. N. Silaški, & Đurović, T. (2013). The FOOD metaphor in structuring the global financial crisis in Serbian – magazine covers as multimodal discourse. In A. S. da Silva et al. (Eds. ), Comunicação Política e Económica. Dimensões Cognitivas e Discursivas (pp. 507-519). Braga: Catholic University of Portugal, Braga, Portugal. Đurović, T., & N. Silaški (2012). Alternative use of commands in tourist industry advertising. In G. Raţă, I. Petroman, & C. Petroman (Eds. ), The English of tourism (pp. 275–283). Cambridge: Cambridge Scholars Publishing. Đurović, T. (2011). Exploring figurativeness in the language of business negotiations. In G. Raţă (Ed. ), Academic days of Timişoara: Language education today (pp. 498–506). Cambridge: Cambridge Scholars Publishing. Đurović, T. (2011). Coping with phrasal verbs for money: A cognitive approach. In A. Ignjačević, D. Đorović, N. Janković, & M. Belanov (Eds. ), Jezik struke: Izazovi i perspektive [Language for specific purposes: Challenges and prospects] (pp. 793-803). Beograd: Univerzitet u Beogradu.